Every month we spend an evening scouring the pages of the latest issue of Previews and pick the titles we are looking forward to the most. This month it's the September issue which includes comics scheduled to ship in November 2018. Matt C: Geoff Johns' and Gary Frank's Shazam! was arguably the real highlight of the New 52 reboot, a brilliant reinvention of the original Captain Marvel, full of heart and wonder, a winner that was relegated to back-up status in Justice League and never got beyond a single collected edition. With a movie due to drop early next year, it's obvious that DC needs a Shazam! book on the stands again, and although Johns and Frank are busy with Doomsday Clock, Johns has the time to script a new relaunch for the character which will hopefully capture some of the magic of the aforementioned run. Dale Eaglesham can mould his art to DC's 'classic' style, so he seems like a good fit for the character in Frank's absence. 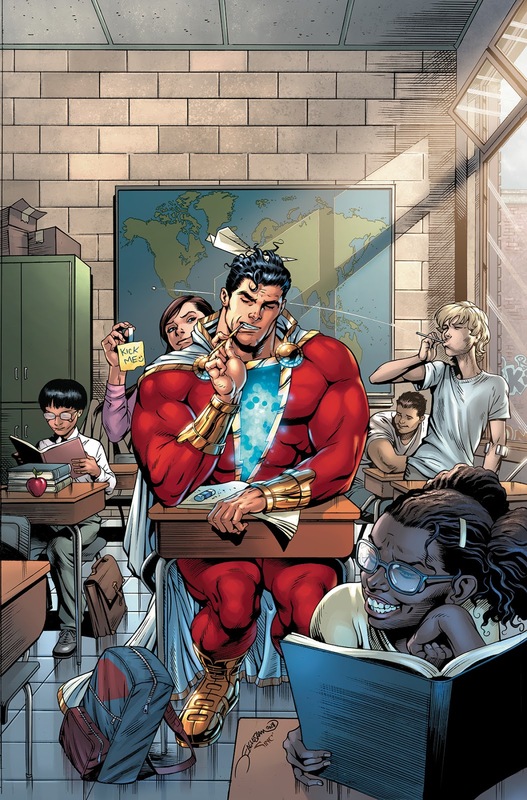 There's slim chance of Billy Batson and his alter-ego achieving best-selling status (as comics historians will remind you, Captain Marvel comics outsold Superman comics in the early 1940s) but perhaps it'll see him stick around for a while longer this time. Jo S: Even a fairly carefully worded entry into a search engine struggles to find much information on this venture, swamped as it is by listings of the similarly-titled Spider-Man: Into The Spider-Verse animated movie due out later this year. It seems the new comic book series does indeed owe its existence to its big screen big brother - this is Ralph Macchio producing a Miles Morales Spidey book for all those who loved the film to pick up and keep the love alight. For me it’ll be the other way around, of course: spotting my new fave Spider-Ham gracing the cover, I was instantly caught up in the porcine webslinger’s trap! 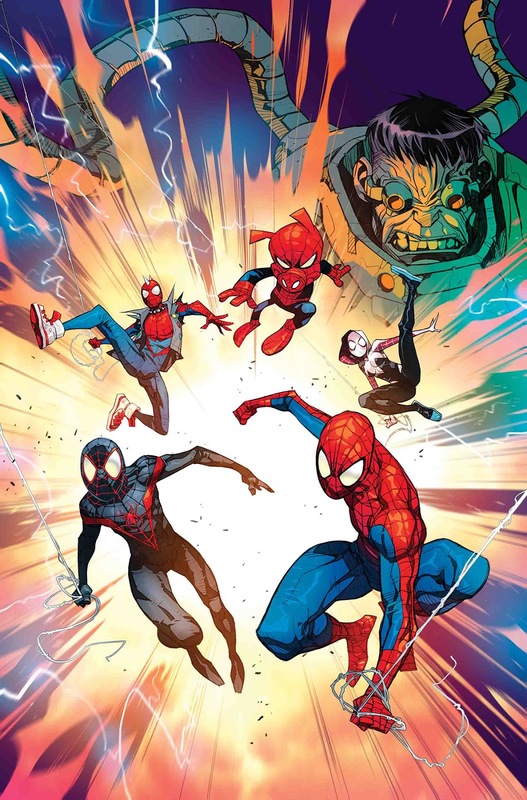 More Spider-Variants than you can throw a web-net over are teaming up for this and it looks like a whole lot of fun. Kenny J: Sometimes when flipping through Previews you comes across a title that piques your interest. 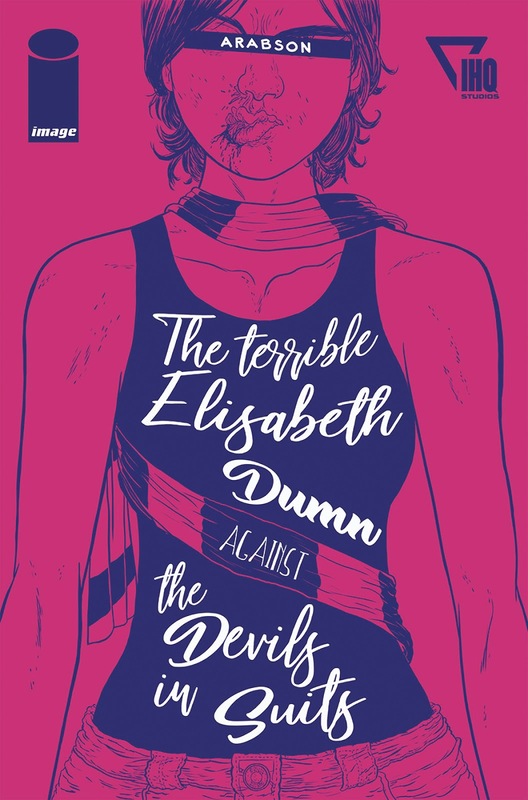 It could be the art, the cover or the story, but in the case of The Terrible Elisabeth Dunn Against The Devils In Suits it was all three. The neon pink cover drawn by Arabson grabbed me but it was his interior art and the English language translation by James Robinson that kept me reading. Brazil has some great comic talent like Rafael Albuquerque and the Brothers Moon & Ba; you can add Arabson to that list. The wonderful looking art and text in this one-shot novella from Image had me before I even read the plot. I'm looking for forward to this based on the three teaser pages alone. High praise indeed in this time of vying distractions. 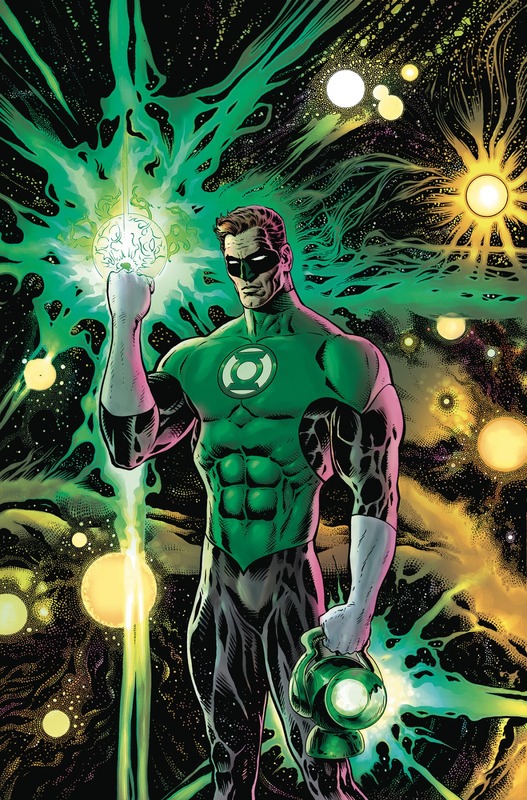 James R: I'm always going to take a look at a new book from Grant Morrison - the Scottish scribe may not pack the clout he once did, but as someone who really loved his Batman work and Multiversity, I'm pleased that he's back with the DCU for another series with a character I've always been ambivalent about: Green Lantern. I was interested in Morrison's comments on the book in the recent DC Nation and with some fine art from Liam Sharp, I think this is the month's must-read book. 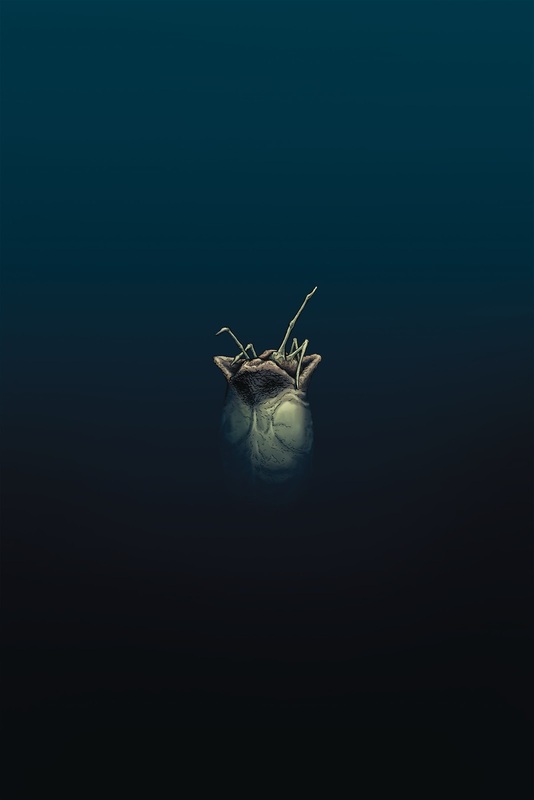 The fact there's a Frank Quitely cover available seals the deal for me - I'm looking forward to seeing if Morrison can work his magic, and get me invested in Hal Jordan. Andy H: Skottie Young is probably best known for his cute baby versions of, mostly, Marvel characters. If I hold my hands up, I have a fair number of those Skottie variant covers in my collection. Skottie is not only a great artist he is also an accomplished writer, with credits for Rocket Raccoon, Deadpool and, of course, I Hate Fairyland. 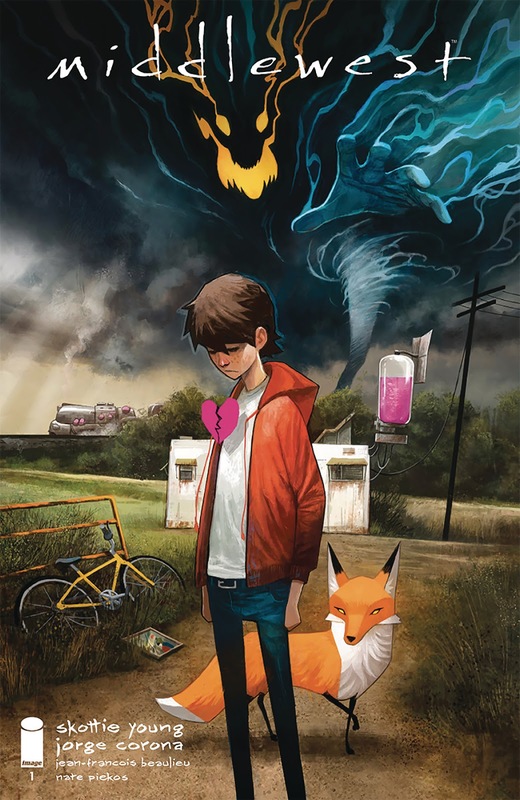 Now he teams up with artist Jorge Corona to bring us Middlewest, probably his darkest book to date. It's about old magic, family and tornados. Star of the piece is Abel, a young boy who must reconcile his family's history and face a storm that knows his name. The art looks suitably moody and atmospheric, setting this up as another potential hit from Image. Matt C: I don't' pick up as many Image #1s as I used to. That's partly due to the sheer volume of books they're now putting out, and there's only so much time and money available. 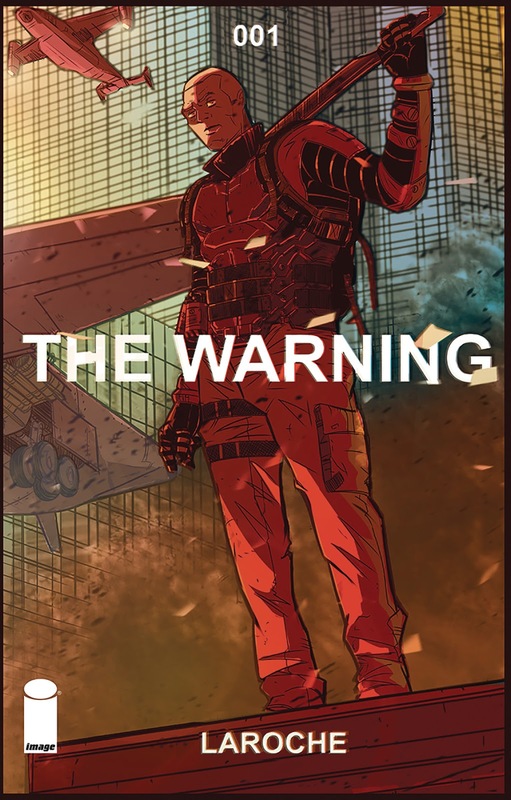 I'll happily make room for one (or two) more on my pull-list if something takes my fancy, and perhaps The Warning will make the grade. A machine materialising slowly in a major city, an elite brigade of soldiers sent in to deal with the unknown... it certainly sounds promising. I know next to nothing about Edward Laroche, but the preview art looks tasty and the premise could have some decent sci-fi clout, so have a fair amount of optimism for this one. Kenny J: There are two reasons that I started reading comics: the early '90s Batman films and animated series, and the X-Men cartoon. So, when I found an issue of Uncanny X-Men on a Spanish newsstand back then, I snapped it up. It quickly became my favourite and definitive X-book. Of course we've had New and Astonishing and All-New books but Uncanny is the one I'll always pick up as it's the one that always delivers. That is why I'm so excited to have this iteration written by Ed Brisson, Matthew Rosenberg and Kelly Thompson. If that line up of writing talent isn't enough to sell you on this book then just check out the previews of Leinil Francis Yu’s covers featuring classic X-Men characters, including one of my favourites, the Multiple Man, Jamie Maddox. 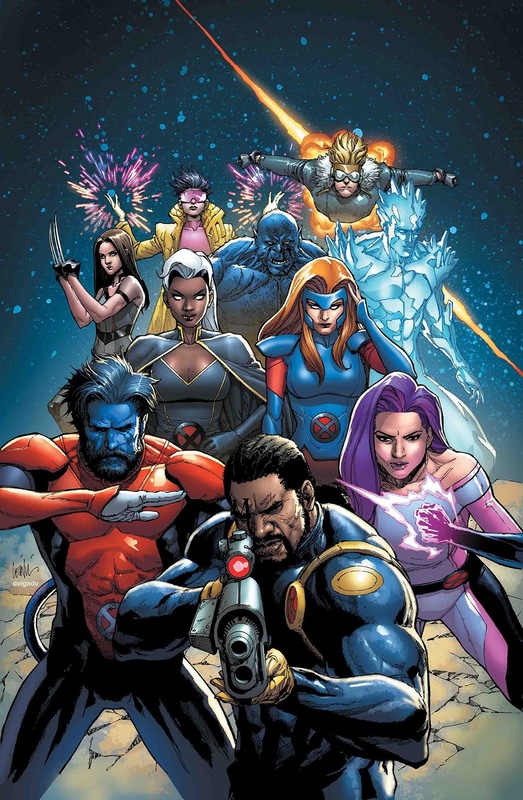 I'm a massive X-Men fan and it pains me that I haven't read an X-title for a while now. Uncanny is going to put that right. 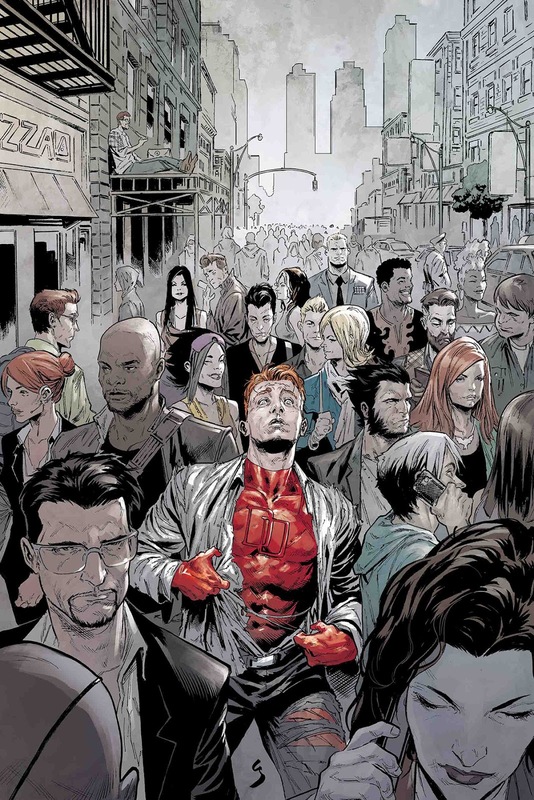 Jo S: The first of a run of six, this new outset for the Marvel Knights boasts a TV-style ‘showrunner’, Donny Cates, working with a team of writers, Matt Rosenberg, Vita Ayala and Tini Howard. The structure enable Cates to generate the overarching story, with his crew then adding the detail and bringing their own particular twist to the characters. Multiple artists will also contribute, with this first issue in Travel Foreman’s deft hands. Not much information has escaped the House of Ideas so far regarding the story line, other than it’s a huge mystery, but MK20’s roster of heroes looks promising - a squad picture shows Daredevil, Hulk, Punisher and Ghost Rider joined by, hmm, someone stretchy? Matt Rosenberg writes a good team, and Cates knows how to helm a good story, so I'll play along with the secretive spin they're already generating. James R: The very definition of a curiosity, the DC Nuclear Winter Special is a hefty $9.99, but as a fan of post-apocalyptic tales, this is irresistible. 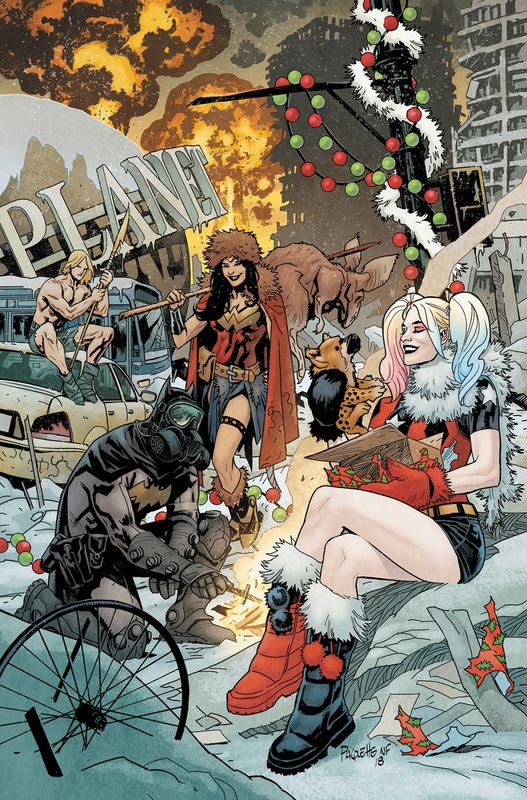 A slew of DC's top talent including Paul Dini, Phil Hester and Mairghread Scott bring us ten stories of the iconic characters set in a 'post-apocalyptic wasteland' - I have absolutely no idea if this is going to work, but the pitch alone has made me want to pick it up. The month's most left-field new release.